Perusing the table below, you might note that the Jupiter conjunct Pluto synod comes and goes swiftly. Jupiter is a fast mover, and there is often just one cycle. 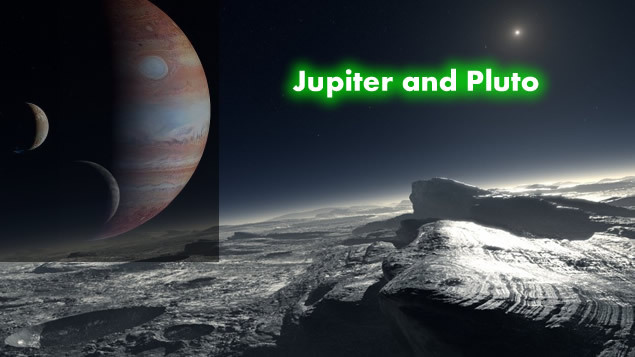 This Jupiter conjunct Pluto synod lasts for a few days, and can ocurr as much as three times, when it appears, but it will not return for eleven or twelve years, depending on the longitudinal speed of Pluto. Sometimes Jupiter in its retrograde cycle will make it last longer, as happened in 1955/56 when the synod was exact at 26°, 27°, and 28° Leo. Even here the exact conjunction lasted only a few days (see table below). This also happens in 2020. These synods do not affect history in the same way that the longer lasting ones do. The Uranus/Neptune synod brought about the trial and execution of Charles I of England; it also brought about the collapse of the Soviet Union. These longer synods involve matters of astrologic influence affecting the vast structures of government devised by men. Jupiter Pluto is as strong as some of these, but it has to be judged differently. It is best to measure how it changes the lives of the players of history. 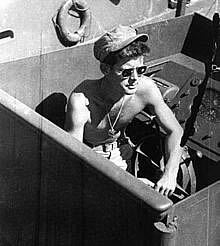 During World War II, on August 2, 1943, naval Lieutenant Junior Grade John F. Kennedy captained a torpedo boat patrolling the Blackett Strait between Kolombangara and Arundel in the Solomon Islands; he was searching for Japanese ships to destroy. It was about 2:00 AM on a moonless night, and many of the crew were sleeping, when a Japanese destroyer, the Amagiri, moving at possibly 50 mph, rammed his ship and tore it in half, causing its fuel to explode and burn. This was a Plutonian event. It came suddenly and was totally devastating. It was war: two of his crew were instantly killed; two were badly burned. The survivors floated in shark and crocodile infested waters; and the destroyer steamed away, not bothering to search for survivors. The two other PT boats in the area thought no one could have survived this explosion, and they turned away without looking for anyone and sped back to base. A Jupiter Pluto synod at 6° Leo lay within 1° of an exact sextile to Kennedy’s 7° Gemini Sun. How Kennedy handled this crisis would determine the unfolding of the rest of his life. John F. Kennedy. Click for larger. After the smashing of the boat, Kennedy kept a calm mind. Those who couldn’t swim he assigned to a floating timber from the broken ship. Kennedy himself towed to safety a severely burned crewman, and he moved the eleven survivors to a small island some 3 1/2 miles away. It took them four hours to dog paddle there. It was a small island about the size of a football field, no water, no food. While his crew rested, he swam about 2.5 miles further and found an island with water and food (coconuts), returned to the first island, and got his crew to that island, where they were able to survive for about a week until they were picked up. This was a natural leader, who with a calm mind continued to give the right orders to his crew all through the hard days. After sending a message with some passing fishermen carved on a coconut shell, his crew was rescued within a week. This synod brought out the qualities of courage that only an event like this could bring out. That night he was not able to depend on a wealthy and powerful father, on influence and contacts, on his Harvard education, or on many other benefits coming from a family of wealth and influence. The only quality of character that worked in the burning water was courage, and courage was what he found in himself that night and the days that followed. The Jupiter did bring protection but the Pluto demanded courage. After that week he would be a different man for the rest of his life. That it happened on the synod meant that millions of people would affected by his courage, by the test that he passed; and this synodic influence raised him to the presidency. Out of orb by the 7th.